Use CloudFormation or other configuration and orchestration tool. 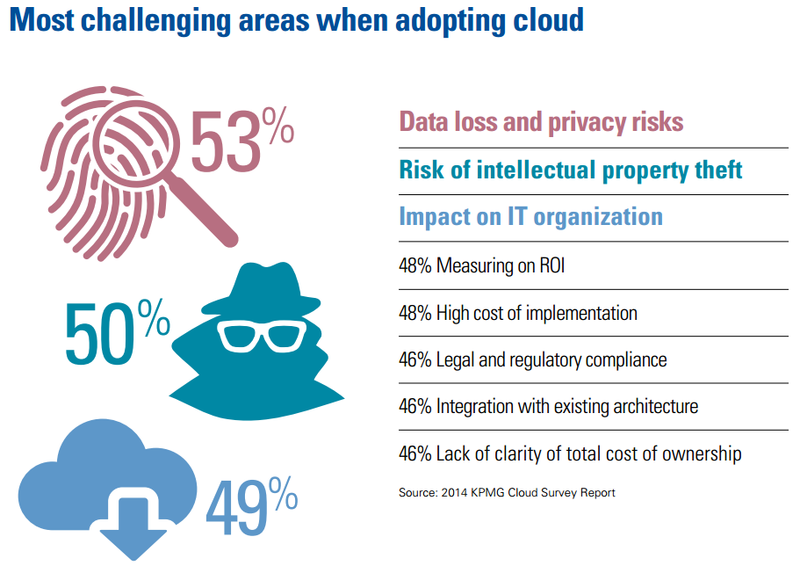 Watch out for cloud sprawl. Use tools to monitor spend. To solve this problem AWS has a service called Identity and Access Management (IAM). IAM is an AWS feature that allows you to regulate use and access to AWS resources. With IAM you can create and manage users and groups for access to your AWS environment. 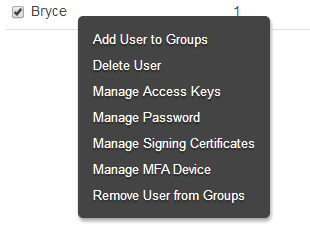 IAM also gives you the ability to assign permissions to the users and groups to allow or deny access. With IAM you can assign users access keys, passwords and even Multi Factor Authentication devices to access your AWS environment. IAM on AWS even allows you to manage access with federated users, a way to configure access using credentials that expire and are manageable through traditional corporate directories like Microsoft Active Directory. 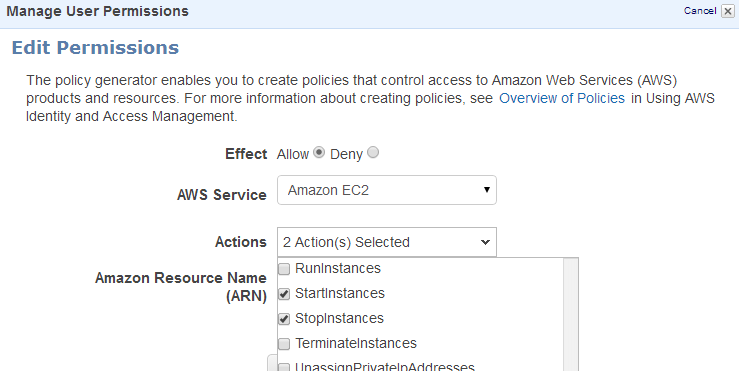 With IAM you can set permissions based on AWS provided policy templates like “Administrator Access” which allows full access to all AWS resources and services, “Power User Access” which provides full access to all AWS resources and services but does not allow access to managing users and groups, or even “Read Only Access”. These policies can be applied to users and groups. 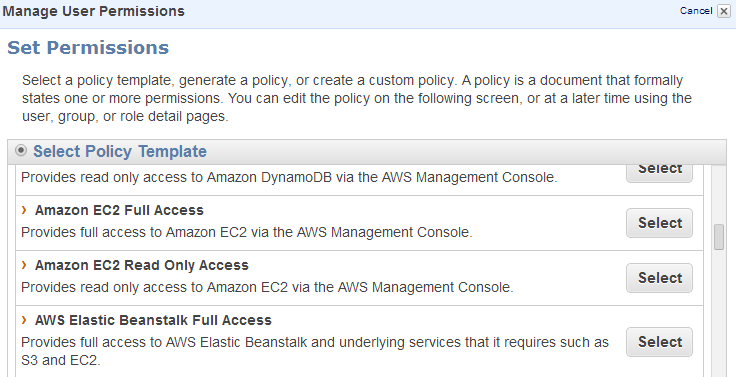 Some policy templates provided can limit users to use certain services like the policy template, “Amazon EC2 Full Access” or “Amazon EC2 Read Only Access”, which gives a user full access to EC2 via the AWS management console and read only access to EC2 via the AWS management console respectively. IAM also allows you to set your own policies to manage permissions. Say you wanted an employee to be able to just start and stop instances you can use the IAM Policy Generator to create a custom policy to do just that. You would select the effect, Allow or Deny, the specific service, and the action. IAM also gives you the ability to layer the permissions on top of each other by adding additional statements to the policy. Once you create a policy you can apply it to any user or group and it automatically takes effect. When something changes in the organization, like an employee leaving, AWS IAM simplifies management of access and identity by allowing you to just delete the user or policy attached to that user. If an employee moves from one group to another it is easy to reassign the user to a different group with the appropriate access level. As you can see the variety of policy rules is extensive, allowing you to create very fine grained permissions around your AWS resources and services. Another great thing about IAM is that it’s a free service that comes with every AWS account, it is surprising to see how many people overlook this powerful tool. It is highly recommended to always use IAM with any AWS account. It gives you the ability to have an organized way to manage users and access to your AWS account and simplifies the management nightmare of maintaining access controls as the environment grows. 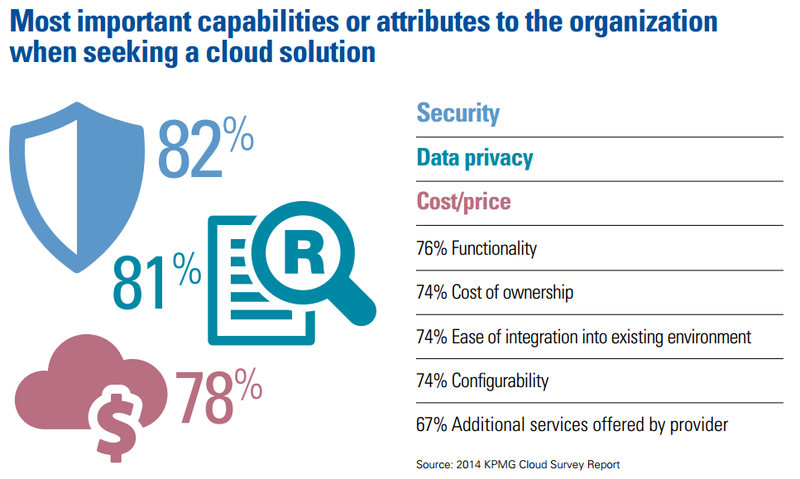 There are four main reasons why companies are moving to the cloud. They include: agility, availability, cost and security. When meeting with the CIO of a prominent movie studio in LA earlier this week he said, “The primary area that we need to understand is security. Our CEO does not want any critical information leaving or being stored offsite.” While the CEO’s concern is valid, cloud providers like Amazon Web Services (AWS) are taking extraordinary measures to ensure both privacy and security on their platform. Below is an overview of the measures taken by AWS. Accreditations and Certifications – AWS has created a compliance program to help customers understand the substantial practices in place for both data protection and security to meet either government or industry requirements. For example, PCI DSS Level 1, ITAR, etc. for government and HIPAA, MPAA, etc. for industry. Data Protection and Privacy – AWS adheres to the stric data protection and privacy standards and regulations, including FISMA, Sarbanes-Oxley, etc. AWS datacenter employees are given limited access to the location of customer systems on an as-needed basis. Discs are also shredded and never re-used by another customer. Physical Security – Infrastructure is located in nondescript AWS-controlled datacenters. The location of and access into each datacenter is limited to employees with legitimate business reasons (access is revoked when the business reason ends). Physical access is strictly controlled at both the perimeter and building ingress points. Secure Services – AWS infrastructure services are designed and managed in accordance with security best practices, as well as multiple security compliance standards. Infrastructure services contain multiple capabilities that restrict unauthorized access or usage without sacrificing the flexibility that customers demand. Shared Responsibility – A shared responsibility exists for compliance and security on the AWS cloud. AWS owns facilities, infrastructure (compute, network and storage), physical security and the virtualization layer. The customer owns applications, firewalls, network configuration, operating system and security groups. The AWS cloud provides customers with end-to-end privacy and security via its collaboration with validated experts like NASA, industry best practices and its own experience building and managing global datacenters. 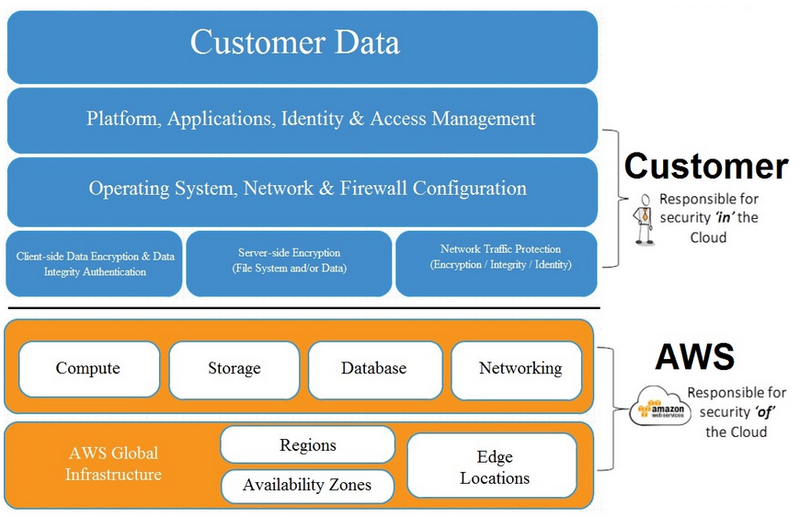 AWS documents how to leverage these capabilities for customers. To illustrate: I recently met with a VP of Infrastructure for a $1B+ SaaS company in San Francisco. He said, “We are moving more workloads to AWS because it is so secure.” The people, process and technology are in place to achieve the highest level of physical and virtual privacy and security.